Puzzle Box - Sheesham Wood Frog - Oriental Gifts from Got-Bonsai? 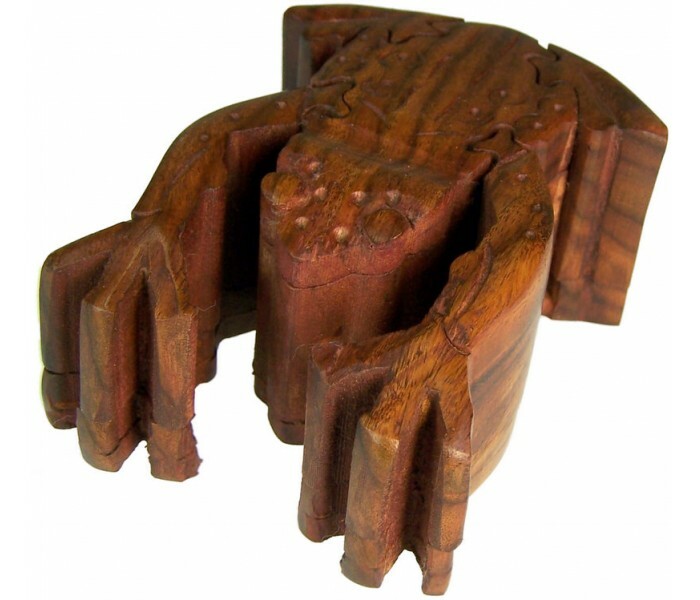 Frog shaped puzzle box made from Sheesham Wood. Work out what order to remove the various parts to reveal the small compartment within. 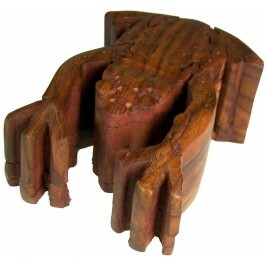 Frog shaped puzzle box made from Sheesham Wood. Work out what order to remove the various parts to reveal the small compartment within. Great gift on their own or a perfect way to present a small item like jewellery or a trinket. High quality construction and each puzzle is supplied in its own box.